From the critically acclaimed comic series Batman: The Dark Knight Returns, comes the futuristic tank-like vehicle. This scale model of the heavily armed, militaristic Batmobile is produced in immaculate detail and set in front of a 3D lenticular back drop. 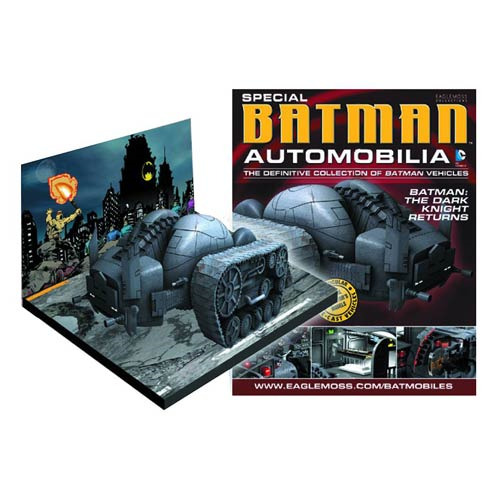 The die-cast tank from Batman: Dark Knight Returns comes with a collector magazine that details all you need to know about the vehicle! Measures about 6-inches long. Ages 14 and up.